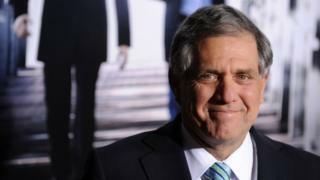 The head of US media giant CBS, Les Moonves, has resigned with immediate effect following allegations of sexual misconduct. In a statement CBS said a $20m (£15.4m) would be paid immediately in support of the #MeToo movement. It said one or more organisations that supported #MeToo and female workplace equality stood to benefit, but did not specify which. The donation has been deducted from any severance benefits that may be due to Mr Moonves - the amount of which is pending the results of an ongoing independent investigation into his conduct. They appear in a new article in the New Yorker by Ronan Farrow, who also authored the July piece and this year shared a Pulitzer Prize for detailing assault accusations against Hollywood producer Harvey Weinstein. Where does this leave CBS? Under Mr Moonves' leadership, CBS has been the most-watched network in the US. He developed hits like CSI and The Big Bang Theory, while his $69.3m (£53m) earnings in 2017 made him one of the highest paid chief executives in the world. His tenure at the top of CBS, which he joined in 1995, has been marked by a power struggle with Shari Redstone who, through her family's business National Amusements, is the controlling shareholder in both CBS and the media conglomerate, Viacom. However, CBS said he would not receive any severance benefits until the result of an independent investigation into him. Mr Moonves issued a statement on Sunday saying: "Untrue allegations from decades ago are now being made against me that are not consistent with who I am." How has Mr Moonves responded? A further six women also accused Mr Moonves earlier this year. All of them said they believed their careers had suffered because they rejected his advances. At the time Mr Moonves said he "may have made some women uncomfortable" in the past, adding: "Those were mistakes, and I regret them immensely. But I always understood and respected... that 'no' means 'no'. How did CBS News cover it? On Monday, CBS This Morning presenter Norah O'Donnell told viewers that "he's my boss - or he was my boss - and that makes it hard to comment on it". She discussed her conversation over the weekend with co-host Gayle King about how it had been less than a year since their fellow CBS presenter, Charlie Rose, resigned amid sexual misconduct allegations against him. She then turned to the camera and said: "There is no excuse for this alleged behavior. It is systemic and it is pervasive in our culture." "And this I know this is true to the core of my being: Women cannot achieve equality in the workplace or society until there is a reckoning and a taking of responsibility."